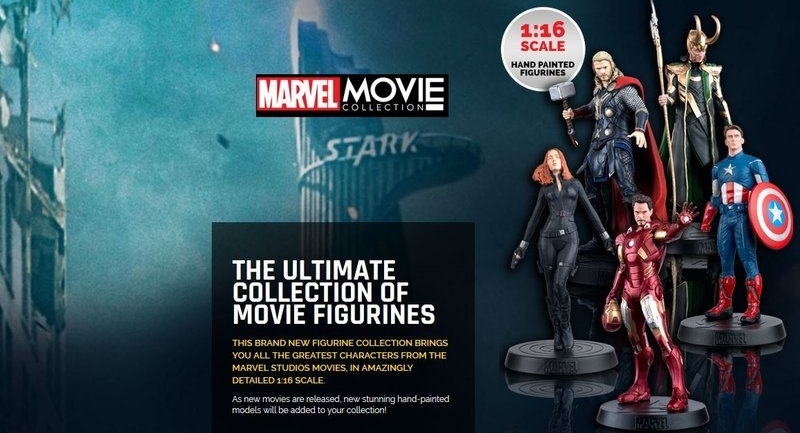 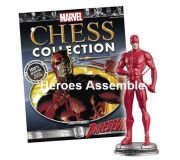 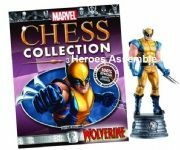 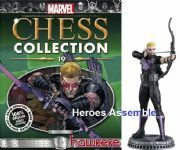 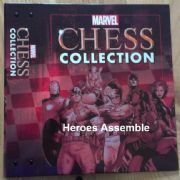 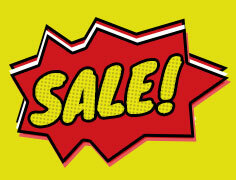 Marvel Chess Collection from Eaglemoss Publications. 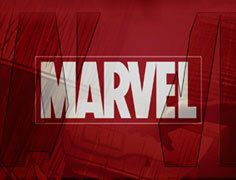 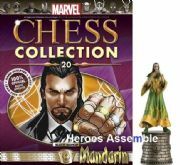 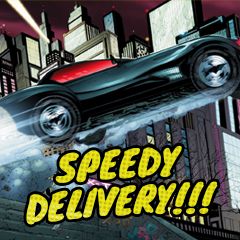 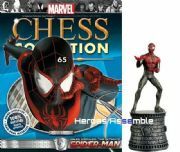 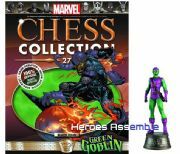 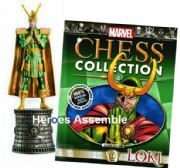 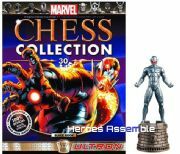 The series is released every 2 weeks and features a superbly detailed Marvel chess piece and magazine. 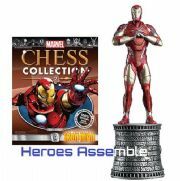 Each piece in the Marvel Chess Collection is sculpted by expert modellers, cast in metallic resin and then hand-painted. 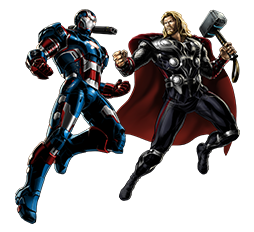 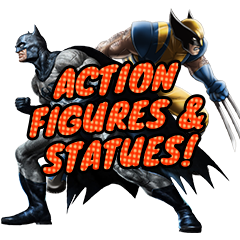 The good guys – the white team – stand proud on silvered bases, while Marvel’s best bad guys are mounted on bronze-effect bases. 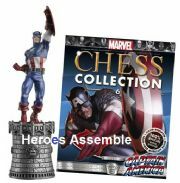 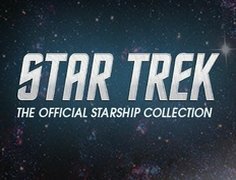 A crest on the front of each base makes for easy recognition of each piece’s rank.